Our Knuckle Cream fades knuckles from as little as 10 days when used as a set For best results use with our knuckle serum Can be used on knee, elbow, hands, toes, etc.Please note as all skin are different we advice customers to use products for 3 months to achieve results. Apply to dark areas only 3-4 times a day after using our knuckles Serum. 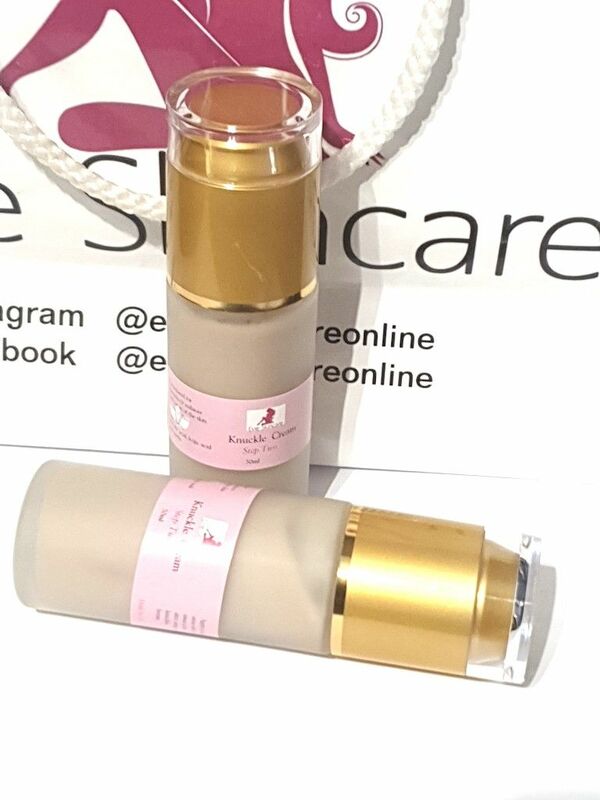 For best results use our knuckle serum first then wait 5 min and apply cream.Please note as all skin are different we advice customers to use products for 3 months to achieve results. You will earn 35 loyalty points with this purchase.